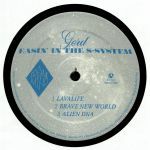 Review: When "Easin' In The S-System" first appeared on wax way back in 1994, Gert-Jan Bijl was still taking his first steps as a producer. In fact, the track was originally the B-side of the Dutchman's very first EP as Gerd on Brave New World Records. Curiously, this 25th anniversary edition places the superb original version - a deliciously intergalactic fusion of ambient techno sounds, hypnotic deep house drums and Detroit style sci-fi electronics - right at the tail end of the EP. It comes accompanied by a wonderfully ghostly, acid-flecked alternate version, plus four previously unheard cuts rescued from an old DAT tape. The breakbeat-driven chunkiness of "Brave New World" aside, these offer varied and largely high quality explorations of the futurist sound of vintage Motor City techno. 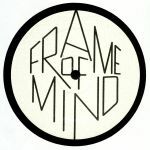 Review: Gerd's archival Frame of Mind label continues to offer up reissues of sought-after European techno classics from the turn of the '90s. The latest 12" to get the repress treatment is Dave Campbell's second outing as Hi-Ryze, 1990 EP "Cyberia". Of the two versions of the Motor City-inspired "Cyberia" that are on offer, it's arguably the heavier, stripped-back "Lo-Pass Mix" that resonates most, though many will be attracted to the rave style stabs and crazy drum edits of the "Midi Edit". 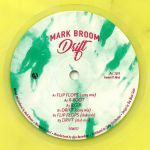 "After The Flood" is available in two variations, too: the filthy, bleep and bass-influenced sleaze of the "Harmo Bass Mix" and the rush-inducing chords and melodies of the "Optimistic Mix". Review: Dirk-Jan Hanegraaff, Gert-Jan Bijl and Mark Ripmeester released more music via more aliases than you've had Nandos... The proliferation of electronic gold coming from their Dutch laboratory is staggering. Celebrating 25 years, It's Thinking was one of the most significant projects of the time. Flexing from the darkest dancefloor to the lightest of lounges, the document is still as immersive and innovative as it was in 92. The title track (famously remixed by Bushwacka years later) is the epitome of everything about early 90s house while "Surviving Desire" is a darker exploration of techno and the then-burgeoning influence of Detroit while in between we have the daydreamy synth melodies of "Down In A Bubble" and the joyous house uplift of "Mild At Heart". Still resonating hard to this day, there's no overthinking this one. Review: Last year, 4Lux man Gerd reissued "Afterglow", a record he made in 1992 while part of obscure Dutch trio It's Thinking. "Hyperion" was the 1994 follow-up to that inspired EP, so it makes perfect sense that he's giving it a new airing, too. It's aged rather well, with superb title track "Hyperion" delivering a deliciously warm and loved-up blend of colourful electronics, dream house chords, rich bass and house-tempo breakbeats. 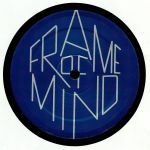 The sparkling "Frame of Mind" sounds like "Chime" and "Belfast"-era Orbital after a night on medical grade happy pills, while "Love Without Sound" peppers a positive techno groove with all manner of shimmering synth sounds. "Funky Finger", meanwhile, is an awesome chunk of saucer-eyed ambient techno bliss.